Chiropractic care can set the foundation for a healthier, happier, and more active life. Our commitment to superior patient treatment and education can help you achieve the pain-free existence that you deserve. We believe that a healthy body that moves mindfully leads you down a path to a lifetime of wellness. Our experienced and professional staff has worked with a wide range of patients in Sandy Springs, and the Atlanta, GA metro. We work with all ages and body types, and can provide treatment solutions for work injuries, auto-related injuries, sports injuries, as well as general wellness programs to get you back in the game and living life to the fullest. Conveniently located near public transportation next to GA-400 and I-285, our state-of-the-art office has been in Atlanta, GA since 1989. As part of this community, we understand how important it is to feel your best so you can fully participate in everything Sandy Springs/Atlanta have to offer. Our practice offers a wide range of therapies and treatment programs, including electric-stim, Decompression Therapy, traction, exercise and physical therapy programs, massage therapy, and many other programs that address your particular health and wellness goals. 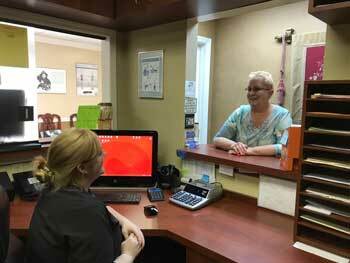 We accept most insurance plans including Medicare, as well as cash, checks and major credit cards. We can work with you to find the most efficient and practical payment solutions for your needs. To learn more about our comprehensive services and how we can help you unleash your true physical potential, call our offices at (404) 257-0404 and set up an appointment for a free consultation.